Restorative Formulations offers a range of therapeutic formulations with a focus on maximizing hormone and cardiac function in the clinical setting for physicians. Setting the standard for purity, 95% of their botanicals and botanical extracts are certified organic or wildcrafted. Restorative Formulations develops highly concentrated, therapeutic dosages to give your patients rapid results. Restorative Formulations is owned by physicians and their products are intended for physicians looking for both clinical efficacy and high level quality assurance in finished product testing. They have been awarded the highest GMP compliance for FDA CFR 21 guidelines as a Grade A in GMP compliance. Supports antioxidant defenses to provide protection from harmful free radicals. 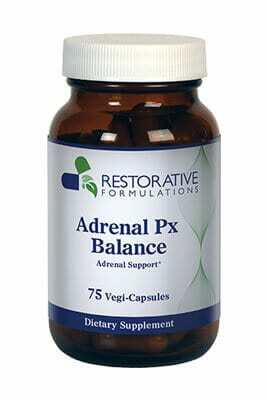 Gently supports adrenal function to promote physical vitality and mental sharpness. Calming to the nervous system. Supports blood vessel integrity. 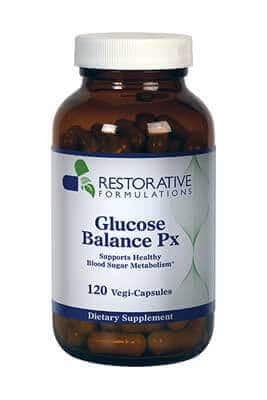 Herbs and trace minerals combine to support healthy glucose metabolism, facilitate glucose transport and support glycogen storage.